In response to a series of costly online banking heists perpetrated against towns, cities and school districts, Sen. Charles Schumer (D-NY) has introduced legislation that would extend those entities the same protections afforded to consumers who are victims of e-banking fraud. Under “Regulation E” of the Electronic Funds Transfer Act (EFTA) consumers are not liable for financial losses due to fraud — including account takeovers due to lost or stolen usernames and passwords — if they promptly report the unauthorized activity. However, entities that experience similar fraud with a commercial or business banking account do not enjoy the same protections and often are forced to absorb the losses. Organized cyber thieves, meanwhile, have stolen more than $70 million from small to mid-sized businesses, nonprofits, towns and cities, according to the FBI. On Sept. 29, computer crooks stole $600,000 from the coastal town of Brigantine, N.J.; seven months earlier, computer crooks stole $100,000 from Egg Harbor Township just 20 miles away. In late December 2009, an organized cyber gang took $3.8 million from the Duanesburg Central School District in Schumer’s home state. In that attack, the bank managed to retrieve some of the money, but the district is still missing roughly $500,000. Steve Verdier, executive vice president and director of congressional affairs for the Independent Community Bankers of America, said the thinking behind the current law is that banks can absorb the losses from this type of fraud when it happens to consumers because there is usually a comparatively smaller amount of money involved. Avivah Litan, a financial fraud analyst with Gartner Inc., said there are a number of promising new technologies that banks can make available to their customers that help guard against these attacks, referring to several products that use specially encoded USB keys to load a virtual operating system on the customers computer and encrypt the keystrokes between the bank and the customer. There isn’t much — if any — likelihood that the bill will be acted upon before the November elections, in which case Schumer will need to reintroduce the bill when the 112th Congress convenes early next year. A copy of Schumer’s bill is here (PDF). Last week I traveled to Cooperstown, N.Y. to deliver a keynote address about the scourge of online banking fraud that I’ve written about so frequently this past year. I flew into Albany, and in the short, 60 minute drive west to Cooperstown, I passed through tiny Duanesburg, a town whose middle school district is still out a half million dollars from e-banking fraud. On my way to Cooperstown, I also passed within a few minutes of several other recent victims — including a wrecking firm based on Schenectady that lost $70,000 last month when organized thieves raided its online bank account. Alexander “Sandy” Jackson‘s world started crashing down on Apr. 20, the day he learned that more than $70,000 of company’s cash had been transferred to 10 complete strangers scattered about the United States. 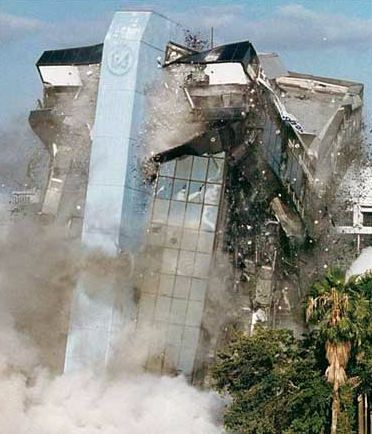 Since then, the owner of Jackson Demolition Service has spent a good deal of time trying to retrieve that money. So far, he and his bank have recovered about one-third of the amount stolen. Oddly enough, Jackson first learned of the fraud after being contacted by an individual who received close to $5,000 of the firm’s money. That individual was Montgomery, Ala. resident April Overton. In March, Overton responded to an e-mail from a company that said it found her resume on Careerbuilder.com, and would she be interested in a work-at-home job entering tax information on behalf of American tax filers? Overton said she accepted the job, and for more than a month worked several hours each day completing various tax forms with personal tax information sent to her via e-mail, forms that she then had to fax back to her employers, who claimed to be Tax World LLC, at www.taxreturnsworld.com. “I was basically processing tax returns, and they’d have me log in to a site every morning between the hours of 8:30 a.m. and 11:30 a.m., and would send me information, have me filing out [IRS Form] 1040 tax returns,” Overton said. The FBI is investigating the theft of nearly a half million dollars from tiny Duanesburg Central School District in upstate New York, after cyber thieves tried to loot roughly $3.8 million from district online bank accounts last month. On Friday, Dec. 18, thieves tried to electronically transfer $1.86 million from the district’s account at NBT Bank to an overseas account. The following Monday, the attackers attempted to move another $1.19 million to multiple overseas location. It wasn’t until the next day, when transfers totaling $758,758.70 were flagged by a bank representative as suspicious, that the two previous unauthorized transactions were discovered, school officials said. As of today, Duanesburg and its bank have succeeded in recovering $2.55 million of the stolen funds, but the school district is still out $497,000.